After having joined their biological families 12 years ago, Tracey and Chris thoroughly enjoyed time spent with their family of six. 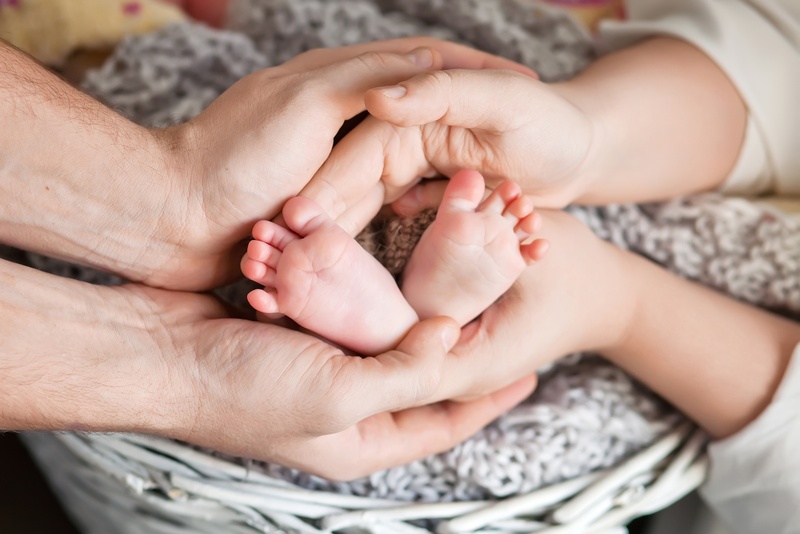 A few years ago, however, the couple wondered whether they should expand their family and have another child to love, which is when their hearts were led to adoption. 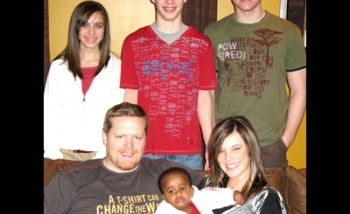 With an indifference to domestic or international adoption, the two took their social worker’s recommendation and decided to adopt from Ethiopia. A short nine months after beginning the process, Tracey and Chris have a new family member, an appreciation of African culture, and a fresh perspective on life. Since Chris had been raised with two adoptive brothers and Tracey had always been open to adoption, their decision was not difficult. “We started talking about it and the idea just flowed along and started happening,” she says. “[Adoption] just happened to be the way in which our hearts were lead to adoption.” Chris’ childhood experiences also brought the couple closer to their decision. “My husband knew there was no difference between a biological line and adopted children; they were all part of the family,” says Tracey. Although the couple wondered whether a baby would inhibit their family’s up-and-go lifestyle, they decided adding to the family was more important. Tracey and Chris were open to either international or domestic adoption, and a friend of Tracey’s—who had adopted from Guatemala—introduced the couple to an Adoption Associates, Inc. (AAI) social worker. 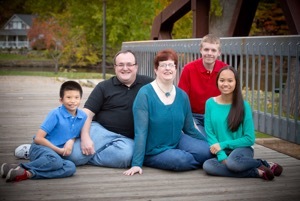 After their first meeting, Chris and Tracey knew international adoption was for them. “[Our social worker] told us that since we already had children, the wait for a domestic adoption would most likely be long, and we wanted a quicker process,” says Tracey. Tracey and her daughter stayed in the city during the two-week trip, and before long Tracey was holding eight month old Abrahm in her arms. To learn more about our Ethiopia adoption program, please visit our Ethiopia adoption page, call 616.667.0921, or request a free adoption information packet.